Will that be one scoop or two? 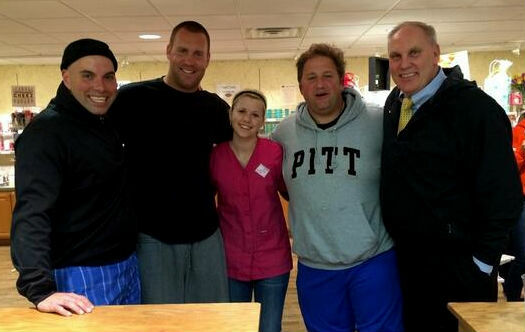 Big Ben stopped by to dip some ice cream last night. Thanks to @_BigBen7 for helping to create some fun memories for us! Ben put down the scoop and joined his friends to pose with Payton, who works at Dietsch Brothers. Dietsch Brothers is a landmark in Findlay, Ohio! They sell ice cream & chocolates and if you can’t stop by, they have an online store as well! Ever had chocolates from Dietsch Brothers? If not, you’re missing out! Best ever!! *And a BIG THANK YOU to Dietsch Brothers for donating a GIANT basketful of chocolates & other treats to Ben’s fundraising event, as one of the items up for auction!